Hello April! 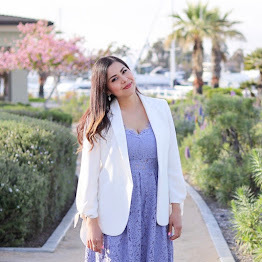 In comparison to my February Outfits, my March outfits have started to adopt the Spring trends- dresses, florals, bright lipstick colors and skirts! With the awesome weather we are having here in San Diego, it looks like the Spring/Summer looks are full speed ahead! On a personal note, March has been an extremely busy month for me, especially at work and it's when my work-blog-personal life balance gets tested. Sometimes I just need some me-time doing nothing to heal that. Do any of you bloggers experience that too? From looking at my calendar, I'm extremely excited about LuckyFabb this week and many more local fashionable events this month! LuckyFabb will be my first blogger conference and I'm still figuring out what to wear which is a huge deal at a "Fashion and Beauty Blogger" event. Anybody else going? Drop me a tweet, I would love to connect with as many bloggers as I can while I'm there :) If not, make sure to follow my #luckyfabb adventures as I'm sure I'll be instagramming.... a lot! I also wanted to announce the winner for the LUMO $50 giveaway Elizabeth Jones!! Congrats!! Everyone else, don't forget there's a few days left to enter this Spring Beauty giveaway here! Nice collage. Liking the yellow dress on you. oh so gorgeous, you look stunning in all of them!!! march was such a great month for you!! I love every single photo!! Gorgeous!!! I loved the sophisticated theme to your outfits this month (especially that gorgeous tweed skirt)! Can't wait to see what you rock in April. even tho 1 and 4 are my abs faves, u look STUNNING always. xO! So many nice outfits. Have a great day.